This past week’s winter weather has had a large portion of the US in a deep freeze or snowed in. I don’t know about you, but sometimes it’s nice to be “trapped indoors” on a winter day. On these days it’s nice to turn off the electronics, get cozy and read a good book! We’ve been updating our downstairs family room and recently picked up a sectional sofa. It’s so big and comfy and has the perfect cozy corner for winter reading! (I’ll be sharing this large scale, DIY letter board next week)! *This post contains some affiliate links. Please see my full disclosure statement HERE. To create your own cozy corner in your home, you just need a quiet area with a comfortable place to sit. It can be a comfy chair, sofa, or even your bed! I prefer a sofa or my bed because I’m always shifting positions when I read. I go from lying down to sitting up to anywhere in between! 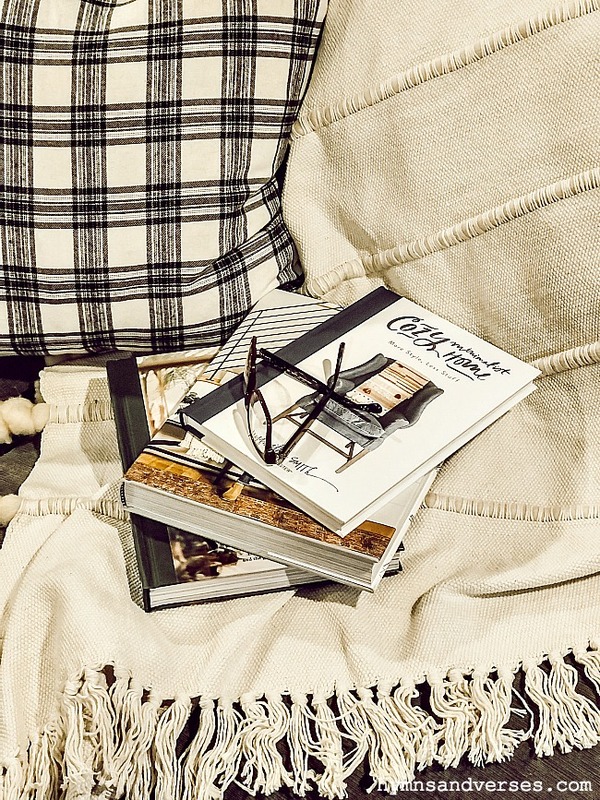 Now, add some cozy elements – a throw blanket or two, one or more soft and comfortable pillows, and good lighting for reading. I prefer a lamp to overhead lighting when I read. And, a lamp with a dimmer makes a cozy corner even more special! I picked up the lamp shown above recently and absolutely love it because it has a dimmer! I also like to have a hot beverage to sip when I’m reading. It’s all about creating an environment to relax and enjoy a good book! Here is a book that I got for Christmas and have been enjoying on these cold and wintery days, Terrain: Ideas and Inspiration for Decorating the Home and Garden . This book is simply gorgeous and full of inspiration for anyone who loves nature and plants! It’s the perfect book to daydream about spring on a cold winter day! 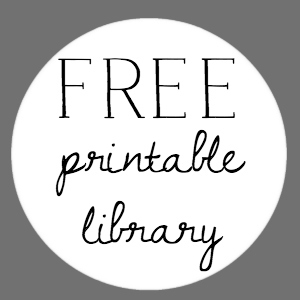 I just finished this book, “Cozy Minimalist Home: More Style, Less Stuff” by Myquillyn Smith. This book is so good and I highly recommend it! I’m striving to become a cozy minimalist!!! Another book I received for Christmas is, “Homebody: a Guide to Creating Spaces You Never Want to Leave” by Joanna Gaines. This book is full of inspiration for the home and will serve as a good reference book! The book is both practical and beautiful with inspiring images! 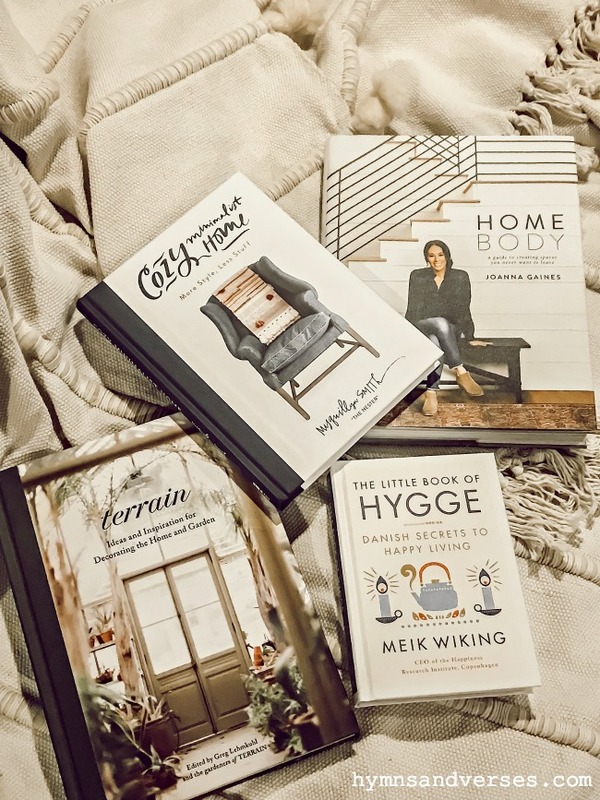 Since this post is part of the cozy living (Hygge) series, I thought it would only be fitting to share “The Little Book of Hygge: Danish Secrets to Happy Living” . The above is an excerpt from the book’s introduction. This little book is full of “slow down life” wisdom! 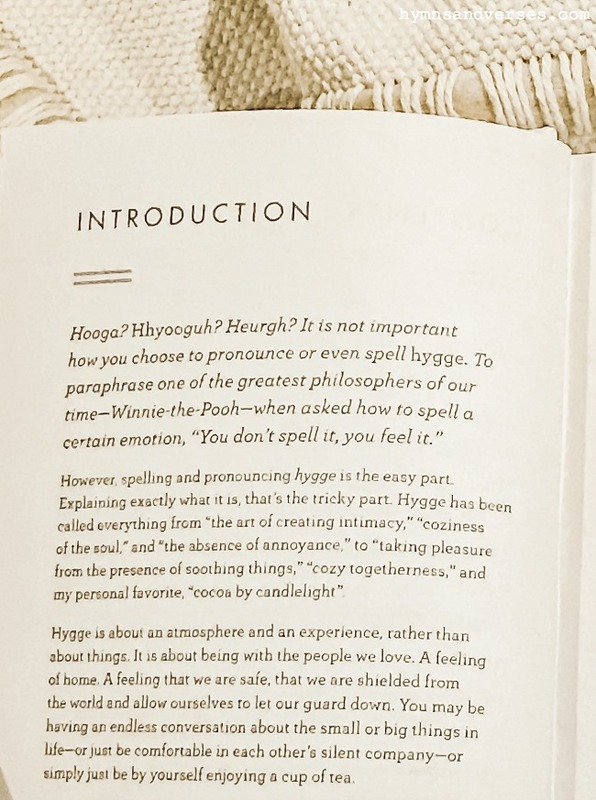 So, if you’ve been wondering what Hygge is all about, check out this little volume! It’s a fun book to pick up and read a bit at a time! And, I’m so ready to dig into some fiction, it’s been way to long since I’ve read a good novel! An excellent source to find good reads is: The Modern Mrs. Darcey. 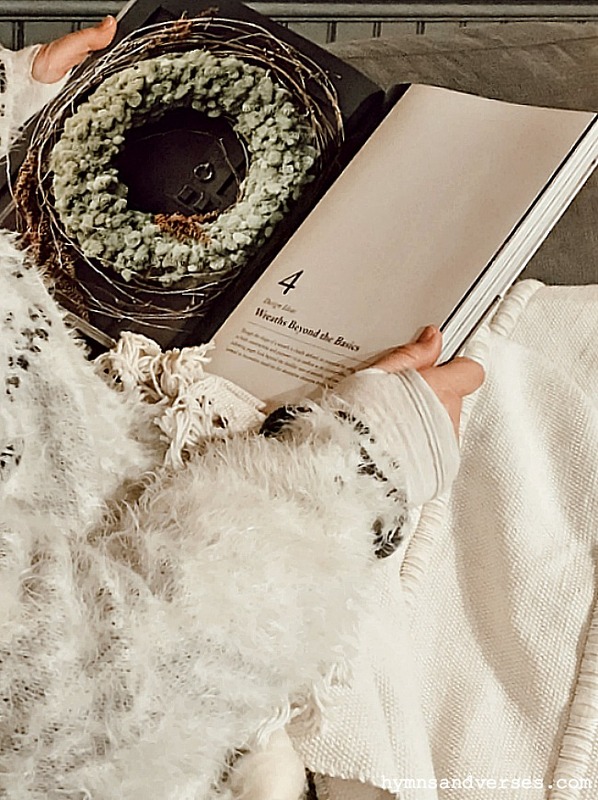 Here’s her list for 20 Books to Cozy Up with This Winter. I love your cozy corner, Doreen! I have two places where I like to read. One is a comfy leather chair in our main living room (the only time this room gets used other than Christmas and family functions). 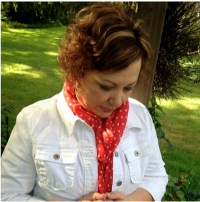 I usually do my morning bible study there and it’s always where I sift through the latest edition of Country Sampler magazine! This room has a cathedral ceiling with large windows but it is always cold, so there’s nothing I like more than to snuggle up under a warm blanket or throw with a coffee or hot chocolate in one hand and my reading material in the other. The other place is my bed. The bed is adjustable, which means I can change positions without too much effort. I am currently reading “Still Life”, a murder mystery by Canadian author Louise Penny (it’s the first in a series; I just discovered her about two weeks ago!). 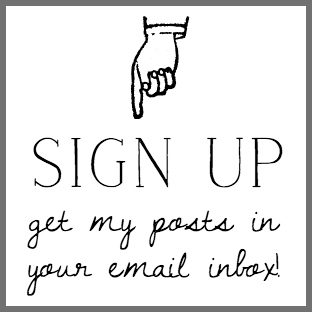 Your posts always leave me wanting more, so I am looking forward to your letter board next week! Your corner is perfect and thanks for the book tips. I always love a good decorating book to flip through and drool over. Today it was 20 here and it felt so warm. I hibernated during the Polar Vortex and did a lot of Netflix watching, it was nice to be home alone for a few days. This looks like the makings of a perfect Sunday morning, or cozy evening in! And now I’ve found a few new books to add to my wishlist too! Thanks for sharing!!! A perfectly cozy spot to curl up with a good read! I love to read in my easy chair & ottoman in the upper level living room! and read the afternoon away! I, too have Joanna Gaines Homebody limited edition. 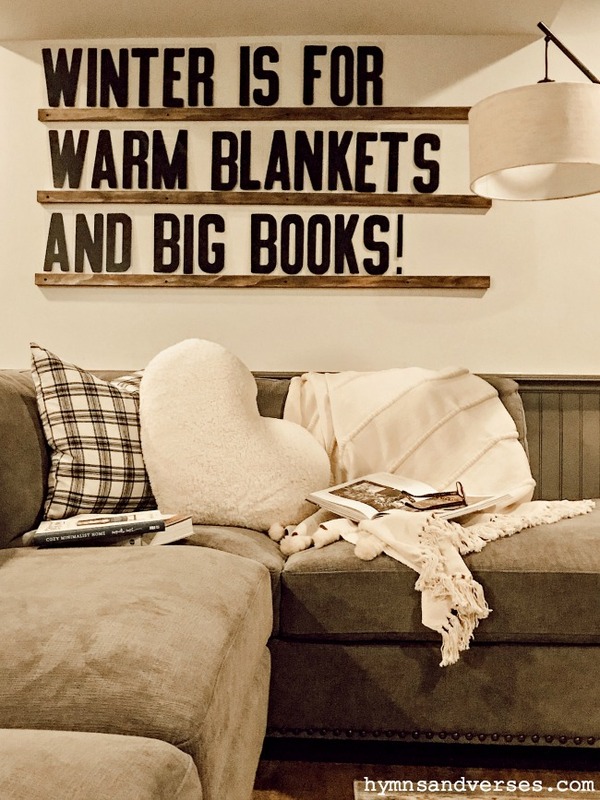 Hopefully, the cold weather won’t last longer than the great reads!